Okay, a day before Christmas last December 2015, I published a post saying few Reasons WhatsApp Video Call Feature might be a Bad idea, but right now WhatsApp had gone ahead with preparation on new video call feature for the Chat or Instant Messenger App. The innovation started 6 months back after screenshots of the feature leaked on iOS, this was the same period I published my opinion about it. Around last week, users reported that a new BETA version 2.16.80 was released and they found the Option to tap a button to make Video Call although it was inactive. 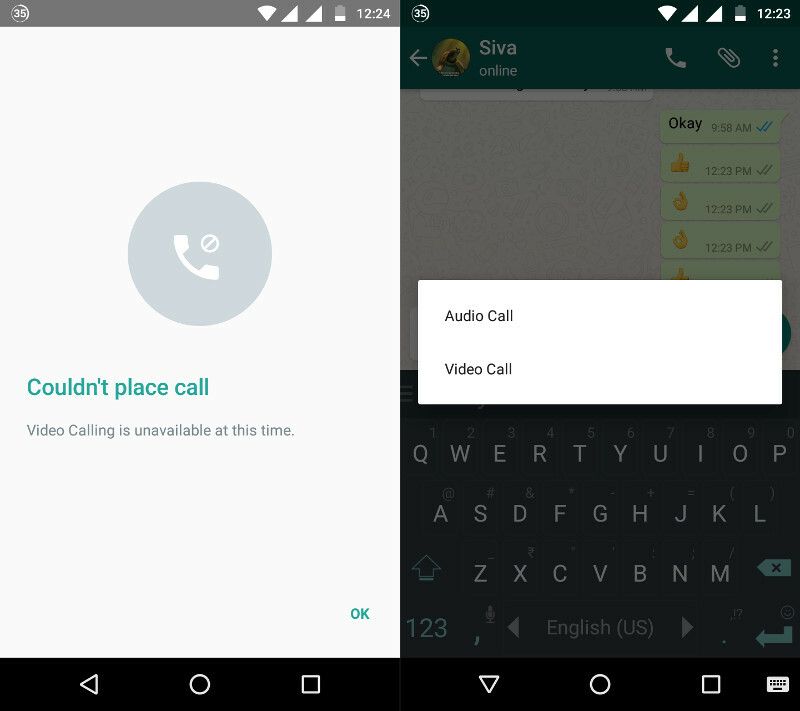 Initially, Call button takes you directly place your call, but on this new update, you will find option to make either a Voice or Video Call. The WhatsApp team is still testing things out, and from what we learnt, this update will be rolled out to Beta Testers and some Countries before eventually and gradually sending it out Globally since the team will have more amount of data to handle for billions of users after releasing the Video call feature.